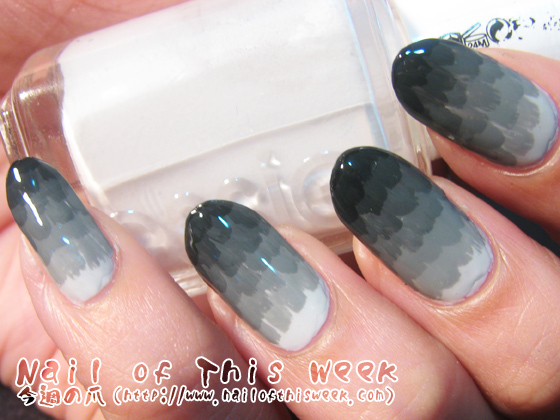 31 Day Challenge, Day 10: Gradient nails : Nail of This Week. 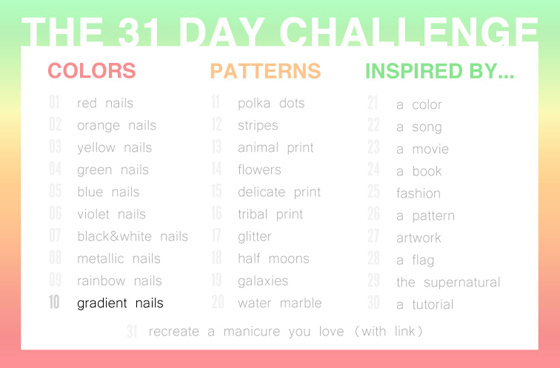 Here comes 10th theme of 31 Day challenge, Gradient nails! Very cool! I may have to steal this technique! Hahaha thank you & Go ahead Nidia! 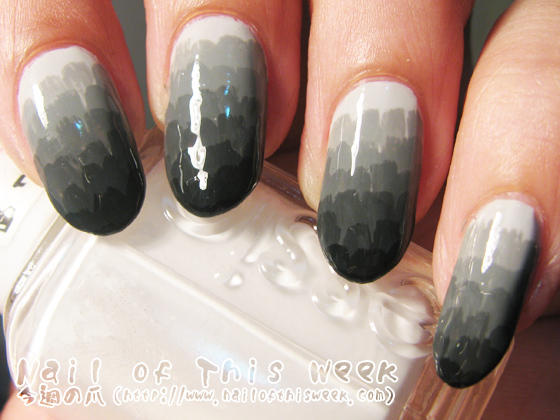 Wow, I didn't even realise it's been a year since I did that mani... But it's nice to see that it inspired someone. :) And I really like yours. 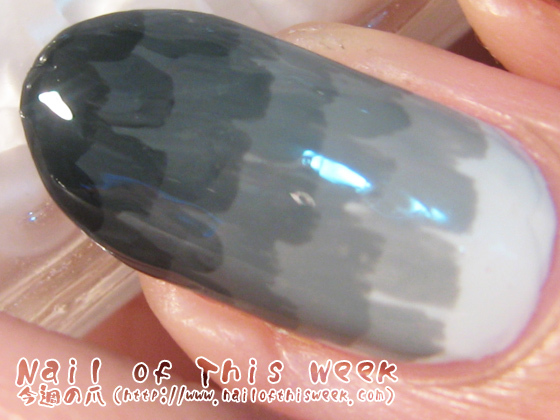 It does look like feathers! Also, it's always interesting too also read the Japanese part of your posts. ;) Once again, learned something new! I really wanted to do something unusual, happy to hear you loved it!